Crystal Bowersox certainly has reason to count her blessings. Only three years after rising to stardom as the American Idol ninth season runner-up, she is set to step onto the Broadway stage this summer as the leading lady in Always… Patsy Cline. Then there’s her superb new album, All That For This, which for the 27-year-old singer/songwriter signals a new-found sense of contentment and, it seems, happiness. The album speaks of new beginnings, of making peace with the past and making the best out of what you've got. 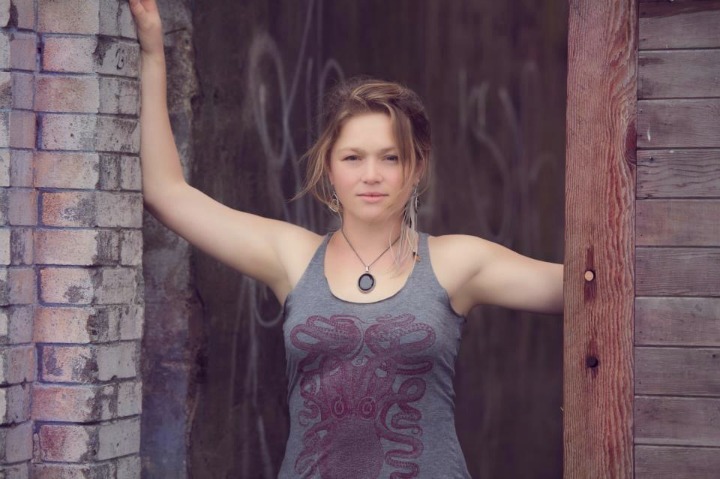 Through such standout moments as the bluesy, Stax-horns styled “Movin’ On” and the redemptive, countrified title track—“All that I’ve been through is just a stepping stone to where I’m going to,” she sings on the latter—Bowersox reflects the serenity of someone who has contended with some heavy adversity in her life, and at times still does, but has nevertheless come to appreciate her own resilience. Such insight couldn't help but influence her songwriting. The hurt she expressed then has since, if not healed, then subsided and, as Bowersox suggests, encouraged a spirit of reconciliation. “My mom and I are in a good place,” she adds, underscoring the optimism that is likewise reflected throughout All That For This. 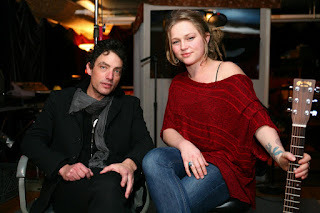 Bowersox and Jakob Dylan, recording "Stitches"
In fact, her own experience as the mother of a now-four-year-old boy inspired one of the album’s most touching and timeless songs, “Stitches,” in which she consoles her son through some of the hallmark agonies he’ll inevitably suffer as he comes of age. Jakob Dylan sings along, reinforcing and enriching this tender sentiment from a parent to a child. “Life is about making connections with people and sharing that face time—not FaceTime on your phone,” says Bowersox. “Life is precious. People and friendships are precious.